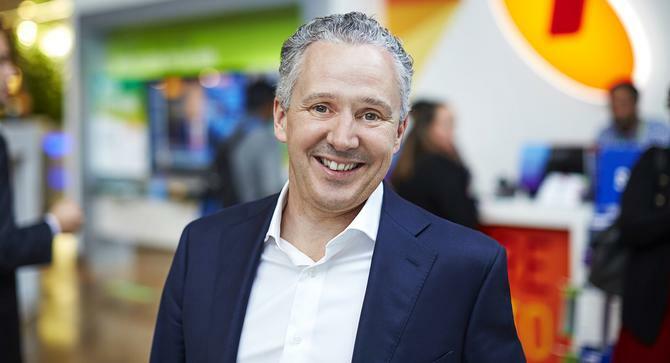 Telstra’s newly installed CEO, Andrew Penn, has reiterated the telco’s commitment to putting the customer at the heart of everything the company does during his first official speech since being appointed. The CEO, who is speaking at today’s Committee for Economic Development of Australia (CEDA) lunch, used the opportunity to outline his priorities as Telstra’s new chief, as well as announce further investment into the telco’s core network infrastructure over 2016 and 2017. Penn, Telstra’s former CFO and group executive for international, was appointed CEO following the departure of David Thodey earlier this year. Thodey was credited as the man driving the telco’s customer transformation and turnaround over recent years. “When David Thodey was appointed CEO in 2009, he declared himself agent of the customer – I make the same commitment,” Penn told the audience. “While we have made significant progress, we clearly have more to do. In a world where technology innovation is accelerating, customers need organisations such as Telstra to respond by providing simpler solutions at great speed, Penn said. “I am a technology optimist. I see great opportunity for those of us that embrace this change, great opportunity for those that embrace technology and a great opportunity for Australian companies and Australia,” he continued. Penn said every aspect of what Telstra provides its customers today has been influenced by technology, changing the way the company needs to go to market as well as the products and services it offers. He noted the rise of mobility, cloud computing and machine learning as three big game changers that have influenced what Telstra provides to customers. “My vision is that we now take this to the next level and become truly world class,” he said. One area where Telstra has been improving its digital capabilities is intelligent video services, ramped up thanks to its Ooyala acquisition last year, worth US$270 million. The telco announced two new video-based digital media services in June, one which utilises Ooyala technology, and one that is based on Telstra’s partnership with Akamai. The other area of digital transformation is e-health, and Penn pointed to 15 acquisitions and partnerships made by Telstra over the last 18 months, all aimed at health-based technologies. Penn also pointed to the need for continual innovation. Telstra Ventures, the group’s investment arm based in San Francisco, is helping keep the telco on top of emerging technologies and made 23 investments to date into startups working in field such as mobile apps, cloud-based solutions and 5G technology, he said. Telstra also runs the Muru-D startup incubator in Australia and expanded the group’s focus to Singapore earlier this year. In addition, Telstra launched an Insights Centre in Sydney this year and plans to open a new Innovation Centre in Melbourne in August. A Customer Experience Centre is also opening in Indonesia in August to support Asian customers, Penn said. Core network infrastructure isn’t being neglected in all this, and Penn used his speech to announce a 15 per cent increase in capex investment across its network capabilities in the next two years. This includes more than half a billion for mobiles and expansion of its 4G network. In total, Telstra will spend more than $5 billion into its mobile network between June 2014 and June 2017. This is particularly vital given the rise in video and rich media traffic, Penn said. “Technology is taking us into a world of rapid change, constant innovation and competition,” he said.